Official website of author Maria Rochelle. Maria is a multi-genre writer and author of the popular children's picture story book series Jasmine Dreams. She also is an interviewer and correspondent for magazines as well. My chat with David DeSantos...Shakespearean actor as well as TV/movie roles. 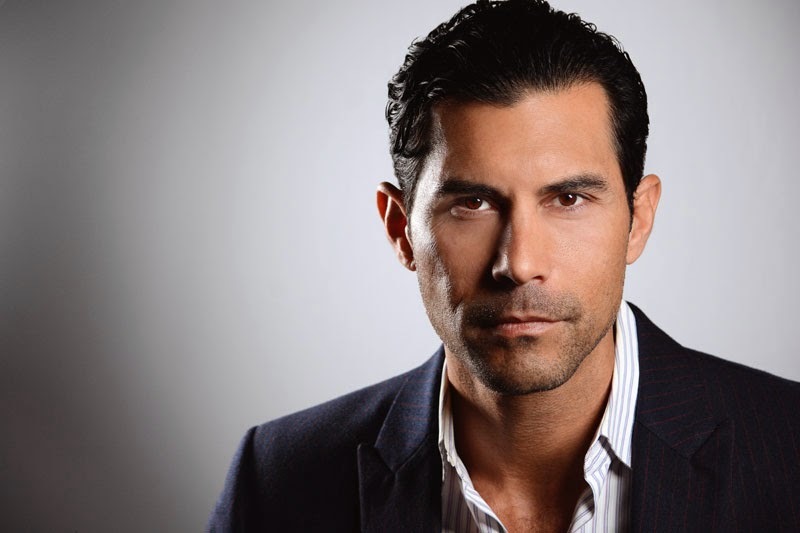 David DeSantos has over thirty acting credits with film, soap operas, TV roles, and that's not including all of his theater acting that he's been involved in. He attended the American Academy of Dramatic Arts, and from there he has been working in the nation's top regional theatres for almost a decade. He's been in TV shows "Banshee", "Switched At Birth", "General Hospital, "Days of Our Lives", "CSI: Miami" and "Pretty Little Liars." I spoke with him recently on a weeknight and enjoyed our chat about his acting career and even a dream of his. His most recent appearance was as Ann-Margaret's lover on the Liev Schreiber/Jon Voight Showtime series "Ray Donovan." He has also has co-starred on "The Red Road" , a Sundance TV show, which stars Jason Momoa and Martin Henderson. David did tell me the "Game Of Thrones" actor, Jason is a big teddy bear and very kind. By the way, "The Red Road" is filmed in Atlanta. Earlier that day, David saw a performance of "Pericles", and he had this to say " The performance solidifies why I'm acting, I'm a story teller." Maria- I know you grew up in California. Where exactly? David- I was born and raised in the San Fernando Valley in southern California. Maria-When did you discover you wanted to be an actor? David- I did some parts in plays in elementary school, but I discover I wanted to be an actor at eleven years old in New York. My Mom took me to see Cats on Broadway, and during intermission the cast would come out and sign authographs. I wanted one from Old Deuteronomy, so I went on stage. I remember standing on stage during the intermission and realize, this is home. Maria- So, that was the moment. Was anybody in your family in acting? David- No, my family was involved in film post production, and I could have easily went that way. My grandmother was a film editor on "Gunsmoke" and "Hawaii Five-O". My Dad was a assistant film editor on "Star Trek II: The Search for Spock." Maria- Your acting started in theatre? David- Yes, it did. I did a lot of volunteering at theatres. My first job was with California Shakespeare Festival at Berkeley. Maria- Are you involved in any festivals now? David- Yes, Oregon Shakespeare Festival (OSF). I've been a member since 2008. Maria- You were in the Showtime series "Ray Donovan" , and you played the role of Ann Margaret's lover in an episode. What was that like? David- It was special! I'm a fan of Ann's , and it was a dream come true. I mean I got to hold her hand, so a dream come true. It's one of the best shows on TV. Maria- What do you love about acting? Do you prefer theatre over TV or film? David- I love doing my job in whatever medium that may be. Whether I'm in rehearsal for a play or on set with a TV show or film, I don't want to be anywhere else. Being on stage is instant gratification, and audience is feeling it in the moment. With a movie, it's watching pieces of a puzzle being put together. Maria- You were featured in Jim Caviezel and Michael Chiklis in the sports biopic, "When The Game Stands Tall' which hit theaters in August 2014. What was like playing a football coach? David- It was a wonderful experience and great to shoot in New Orleans. It was a wonderful script with an amazing story of a football team that had winning streak of 151 wins. The movie was about great morals and about brotherhood, teamwork, and striving to be the best. The director, Thomas Carter, is a great director. Maria- Besides acting in film and TV, any other parts in entertainment industry? David- I've narrated numerous books for audible.com, and also lent my voice to a video game "Battlefield Hardline." Maria- When you don't get a part, how do you view it? David- It doesn't matter if I don't get the job. I look at it like "Did I do my best work?" I mean, did I show up for it? I've learned to let my work speak for itself. This is a marathon, not a sprint. Maria- Any role you would like to play? David- You know, I would love to be a storm trooper in a "Star Wars" movie. I loved the movies, and enjoyed the trailer to the newest one that will be out this year. Maria- I enjoy sharing quotes from those I interview. Do you have one? David -"Leap and then that will appear." Maria- Who's your biggest supporter? David- My Mom has been from the beginning and still is. Here are just a few of the theatre roles he's been an actor in with OSF: Laertes in "Hamlet", Marco in "A View From the Bridge", Ben Gordon in "Paradise Lost", and productions of "Othello", "Merchant Of Venice". His work with "Hamlet" with Oregon Shakespeare Festival earned a 2011 Grammy nomination for Best Spoken Word/Audio Book. Maria is a writer of multiple genres, and author of the popular children's picture story book series Jasmine Dreams. Hi! I'm Maria. I'm a writer for magazines and author of the popular children's picture story book series Jasmine Dreams. 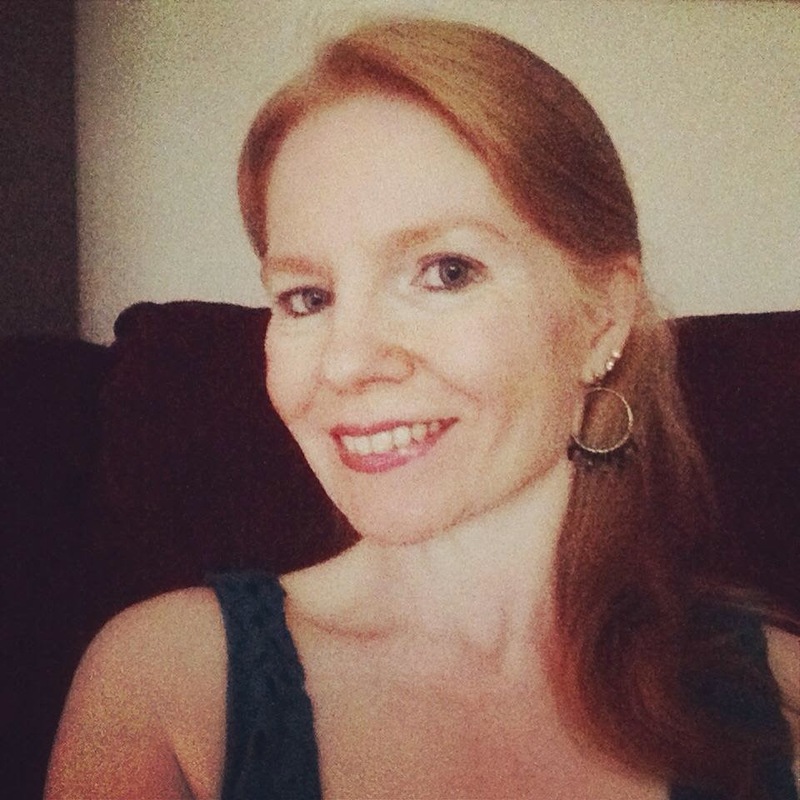 My chat with Amanda Hoven Havelin...Actor, Playwright, and so much more! Interview with Garrett M. Brown..An actor who is living his dream. Chat with Roxzane T. Mims...Atlanta Actor, Director and So Much More!